Google Searching for “My Eyes Hurt” Peaked After Yesterday’s Eclipse « Adafruit Industries – Makers, hackers, artists, designers and engineers! Superpaow a Data is Beautiful Reddit user created a chart using google trends. 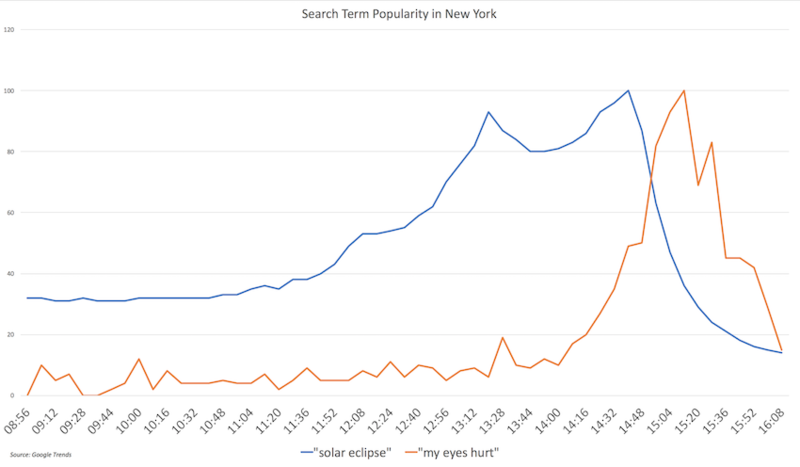 It compares the search terms “solar eclipse” to “my eyes hurt” yesterday. They found that shortly after peak eclipse searching the popularity of “my eyes hurt” also peaked”.